Greeting the visitors with its charming natural beauty, Nainital is one of the beautiful hill station in the state of Utranchal. it is situated in the foothill of himalyas. it is popularity known as lake paradise. Nanital was actually discovered by a British call Mr. Barron There are so many places to and enjoy in Nanital.then what are you waiting for! Arrange a trip to this fantastic tourist destination and capture some lovely memories. 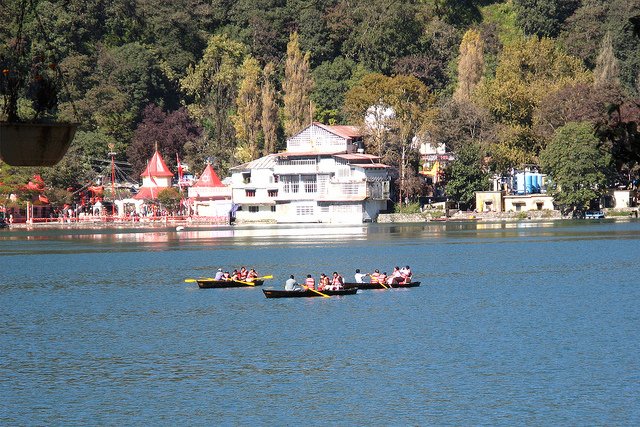 There are three ways you can chose to go for Nainital. 1- By air: Nainital dose not possess an airport of it own. the nearest airport from the hill resort is that of Pantnagar, approximately 70 KM away the domestic airport at Pantnagar hs regular flights. 2- By Rail: Nainital is conveniently accessible by different parts of the country. The nearest railway station to the hill station is kathgodam, about 35 KM away from the main town. 3- By Road: The mostfeasible way to reach Nanital is via road networks that connects Nainital with several other parts of northern India makes roads travel cheaper. The hill station of Nainital enjoys a pleasant weather thought the year,perhaps the why British chose it as their summer capital. The hill resort is famous for its picturesque scenries, loftymaountains and rippling water bodies.The summer are never hot, with the temperature hardly reaching beyond 27degree Celsius. The month of June to September are a time for the yearly showers. During this period, the temperature of the hill station dips and the air renders the town a romantic fee. from the month of December to February, Nainital is completely engulfed by sun. 1- Cave Garden: the cave garden is the most recent addition to the grand list of the traveler attraction in nainital . it very short travel of 2 km from mallital and 1 km from sukhatal that is located very close to kumaon university campus.the cave garden is actually a a natural garden wich has 6 caves altogether along with a beautiful musical fountain that may be explored by the tourist. while turning to this place,tourist may get to know about the animals that used to stay there at one point of time but now they are missing. 6 km from nainital.naina or chaina peak is the highest peak in the town the offers the magistic views of the Himalayan Rnage wich is snow capped from the Bandar punch in west to peak offers he view of the complete beautiful hill statio. renowned environmentalist, hunter as wel as front runner in the tiger conservation. this magnificent museum brings to the forfront of memory the life and the activities of the spectacular and distingguished personality. narrow winding road 1.7 km inside is an out of the word experience. the best thing all along has been the chirping of birds in the background and sound of flowing water. the mesmerizing hill resort of kausani offers the ultimate vocation creating the romantic environment. 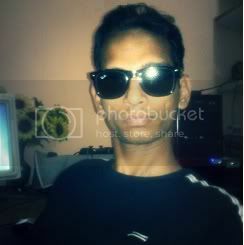 populerly known as khupratal. Itis considered to be anglers paradise having clear water and a good harvestof fishes. 7- Kilbury: Kilbury at about 12km from Nainital at a high of (2528MT)lies a place fit for weekend picnics. it is famous for its flora and fuma and birds watching , One can have a wide panoramic view of Taraiand bhabhar. 1- Capri Restaurant: It offers delectable Continental, Chinese,and indelicacies. 2- Nanak: Enjoy scrumptious Tibetan preparation here. 3- Tallital: this eatery well known for its vegetarian thalis. 4- Kwality: Pamper your teste buds at this lakeside fast food restaurant. 5- Sher-e-Punjab: Enjoy an assessment of dishes from the Punjabi cuisine here. 6- Shiva:this eatrey caters sweet and vegetarian spreads. 7- Prem Restaurant: The Punjabi and South Indian eatables offered here would make you carve for more. 8- Purohit's: Serves appetizing vegetarian and South Indian delicacies. 9- Verandah: This 24 Hr. Coffee shop has in its store delightful coffee and pastries. 10- Banarsi Pan Bhandar: Renowned for its pann. decorated candles that make excellent option as gifts and souvenirs. 1- Traffic Rules on the Mall Road Entry of heavy traffic is prohibited during the month of may, June and October from 8AM to 10:30 PM and 2:30 PM to 10:30 PM light vehicles from 6:00 PM to 9:30 PM. 2- Lake Bridge Tax Toll tax is charged y the municipality from the town. 3- Parking of vehicles is restricted on Mall Road.